The Sunrisers Hyderabad are coming off a match where they more or less dominated 37 overs of the game, until Andre Russell single handedly shifted the result in the space of 3 overs. The Rajasthan Royals are also coming off a similar scenario where they had the game in their pocket but a sudden batting collapse after the controversial Mankad incident led to their loss. Both teams will be looking to sharpen their skills and get a victory under their belt early on in the tournament. 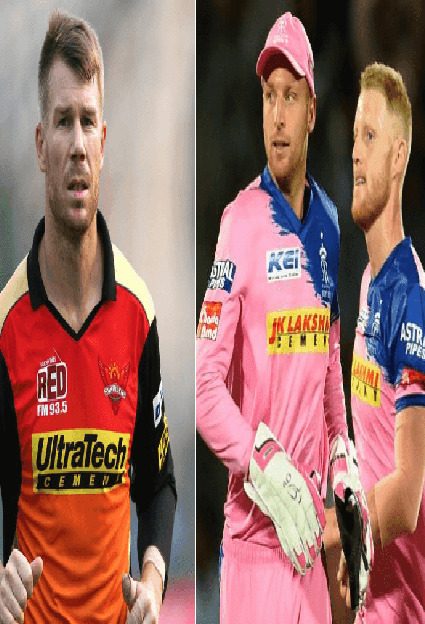 These two teams have played each other on 9 occasions where they have gone almost neck to neck with Sunrisers Hyderabad winning 5 matches and the Rajasthan Royals winning the other 4 matches. At Hyderabad however, the Sunrisers Hyderabad have won both games that were played there. Jos Buttler, for the Rajasthan Royals, will once again be the key player. Coming into the IPL with good form, he made an impact straight away against the Kings XI Punjab getting 69 of 43 balls before getting out through a controversial Mankading incident which he should forget now. The Sunrisers Hyderabad will most probably have Kane Williamson coming in which will lead to a few changes. The Rajasthan Royals will look to play the same side for this game. The pitch is expected to be slightly on the slower side but shouldn’t affect batting too much. Looking at the Balance of the team and history at this venue, the Sunrisers Hyderabad will start as clear favorites. Rajasthan will again look at Jos Butler to play a big innings to stay in the game. The Rajasthan Royals have been strong in the Power plays scoring at a very good rate. A key contributor to this stat is Jos Buttler, and the Sunrisers Hyderabad will be looking to get him out early on. His strength is hitting the ball straight down the ground and giving himself room to hit through the off side. His release shot is the scoop over fine leg. Hence, they should look cramping him up, with a field set having a fine leg and a fine square leg which might force him to go for high risk options. The Sunrisers Hyderabad were one of the best teams in the middle overs from overs 7-15 last year where they managed to keep up a good run rate and not lose too many wickets. The Rajasthan Royals will be looking at using some of their strike bowlers like Jofra Archer in the middle orders and pick up wickets which can affect them given their poor record batting in the slog overs.